PHILADELPHIA, PA - Last month POWER, the state’s leading interfaith movement, led hundreds of students, parents, community activists and leaders from different faith traditions to the State Capitol to demand support for recently introduced legislation which will put 100% of the state’s Basic Education Budget through Pennsylvania’s Fair Funding Formula to end widespread, systematic educational inequality throughout Pennsylvania. Earlier this week the Republican Party of Pennsylvania issued a press release distorting the purpose of our rally, and falsely claiming that Governor Wolf, in conversation with our Executive Director, Reverend Greg Holston, supports $1.2B in school funding cuts. We are deeply disappointed that our day of support for school funding and civic engagement has been abused to imply that Governor Wolf supports education cuts. As people of faith, we affirm the infinite value of each human being, and we are committed that the blessing of education be available to all the children of our commonwealth. In 2016, based on recommendations from a bipartisan funding commission, Pennsylvania passed a new formula for distributing basic education funds to districts around the state. This well designed formula takes into consideration factors which affect the real cost of educating children such as poverty, local taxing capacity, English language learners and the challenges faced by rural districts. Currently, only nine percent of state basic education funding goes through the fair funding formula because the legislature decided that only “new money”, added to the budget since the formula was established, would be distributed according to the formula. By law, the rest of the money continues to be distributed in the old unfair way that was in place before the new formula was passed. In order for the state to distribute basic education funding in a fairer and more equitable way across all districts, more money has to go through the formula. If all of the money budgeted for state basic education funding was distributed using the formula, every district would receive its fair share of the funding. Accompanied by an increase in overall state funding, this fair distribution would eliminate Pennsylvania’s racial bias in school funding and ensure adequate resources for all schools. Governor Wolf has not proposed a $1.2B cut, but has continued to support full and fair funding, which experts say would require at least a $3B increase in state funding. Pennsylvania currently ranks at 50th out of 50 states in the gap between the wealthiest school district funding versus poorest school district funding. Governor Wolf agreed with POWER’s position which is, and always has been, for both fair and full school funding. We applaud Governor Wolf’s openness to discuss the quality of the Commonwealth’s education. In doing so he has made it clear that he is an advocate for education. We are not sure where Scott Wagner stands on advocating for education and invite him to meet with us and hear the voices of the people that he seeks to represent and serve. We ask Scott Wagner to acknowledge that ALL of our state’s children deserve an excellent education, and that significantly more funding is required to ensure that each district has enough resources to educate its students. We also ask Senator Wagner to join in our call for both fair and full funding to ensure quality education for all Pennsylvania’s children. A SMILE SAYS it all as Patrice A. Harris, M.D. accepts congratulatory applause after being elected the 174th president of the American Medical Association. Harris is the second African American to hold this office, and the first African-American woman. Patrice A. Harris, M.D., a psychiatrist from Atlanta, GA., was elected as the new president-elect of the American Medical Association (AMA) by physicians gathered at the Annual Meeting of the AMA House of Delegates in Chicago on June 12. As chief health officer for Fulton County, GA., Dr. Harris spearheaded efforts to integrate public health, behavioral health and primary care services. Dr. Harris also served as medical director for the Fulton County Department of Behavioral Health and Developmental Disabilities. Pittsburgh may be in the national spotlight as a growing, trendy market, but the region has been falling behind in one key aspect — diverse leadership that can represent more voices in the area. Now, a new effort is underway to bring more people of color to leadership positions in the area. Carnegie Mellon University, corporations and city officials are launching The Advanced Leadership Initiative and the Executive Leadership Academy. Officials unveiled the program Thursday morning at CMU’s campus in Oakland. “The Advanced Leadership Initiative will not only help to encourage greater diversity in the executive leadership of the corporate, nonprofit and entrepreneurial communities in this region, but innovations like this will also help Pittsburgh continue to grow as a world class city with top notch diverse leadership at the helm,” Mayor Bill Peduto said in a statement released before the event. African Americans represent 24 percent of the city’s population and 13 percent of Allegheny County’s, yet African Americans represent less than 0.1 percent of executive leadership — “significantly disproportionate to the population,” officials said. The Executive Leadership Academy will provide academic instruction, executive coaching, and facilitate sponsor relationships. Recruitment has already begun and classes will begin January 2019, CMU said. “This is the bold solution needed to rebuild confidence among rising African American leaders that Pittsburgh is a city that supports them as high‐impact contributors in business and civic leadership,” says Greg Spencer, Advisory Board Co‐Chair The Advanced Leadership Initiative and President and CEO of Randall Industries. So far, participants and sponsors include, CMU, The Poise Foundation, EQT Foundation, Highmark Health, PNC, UPMC, Richard King Mellon Foundation, The Pittsburgh Foundation, BMe Community, Giant Eagle Foundation, Eat’n Park Hospitality Group, Gateway Health, Henderson Brothers, Corporate Equity and Inclusion Roundtable, Leadership Pittsburgh, and Vibrant Pittsburgh. 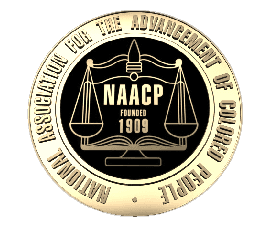 The National Association for the Advancement of Colored People will hold the 109th Annual Convention in San Antonio, Texas in the Henry B. Gonzalez Convention Center on July 14-18, 2018. Known as one of America’s friendliest cities, San Antonio is a culturally rich and exciting city with plenty to do and see. It’s home to the Alamo, the famous River Walk, the Buffalo Soldiers and St. Philip’s College, the only college in the U.S. with distinct dual designation as a Historically Black College and a Hispanic Serving Institution. San Antonio is one of two cities in the U.S. to be named a UNESCO Creative City of Gastronomy. So be sure to come with a big appetite as this grand city has a large variety of amazing restaurants and cuisines to enjoy. San Antonio will provide an unforgettable convention experience and is the perfect city to host our 109th Annual Convention. Register for the convention today!